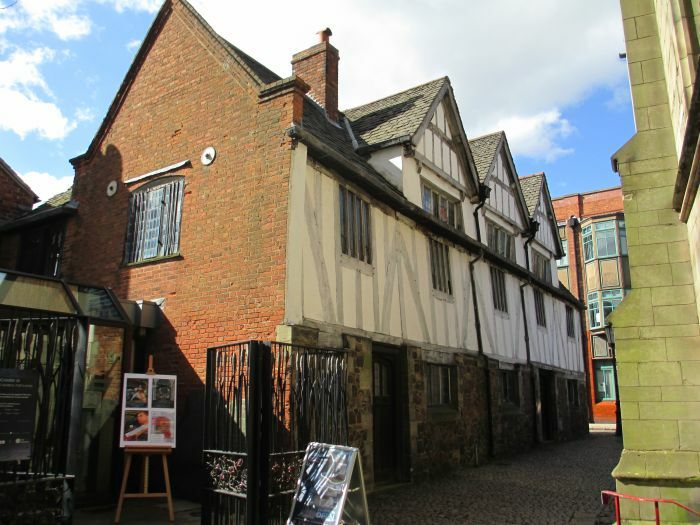 The Guildhall, Leicester: The visitor entrance to the Guildhall, Leicester just across from St Martin's Cathedral. 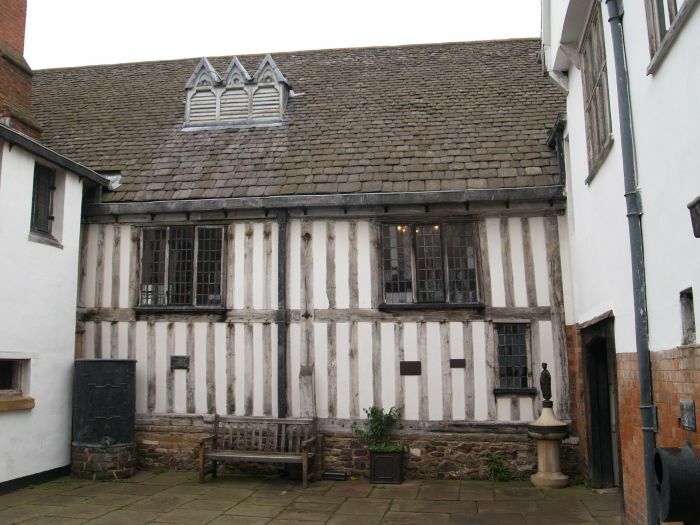 The Leicester Guildhall is an L shaped timber-framed building on a stone base and much of the building dates from the 14th and 15th century. 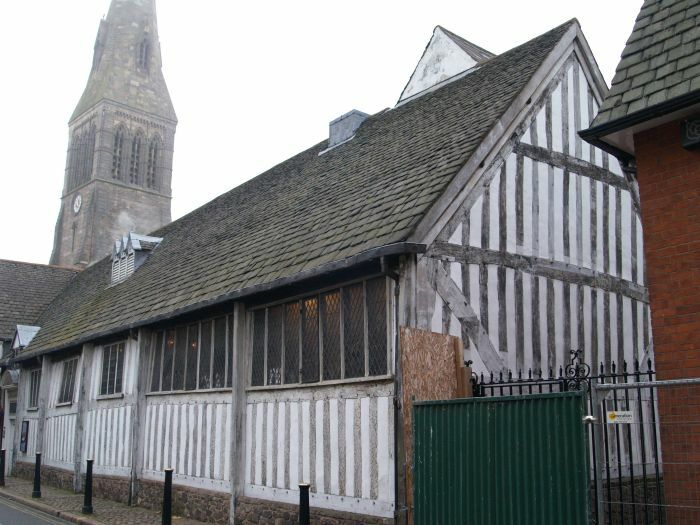 The Guildhall, Leicester, the wall of the Cathedral is on the right. 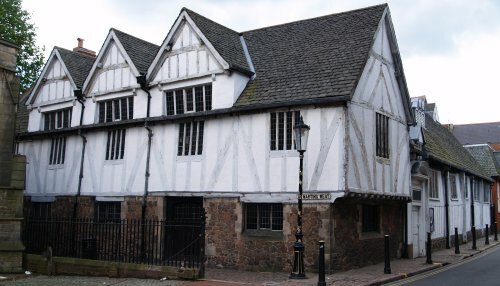 The Guildhall, Leicester: The library of the Guildhall in Guildhall Lane. 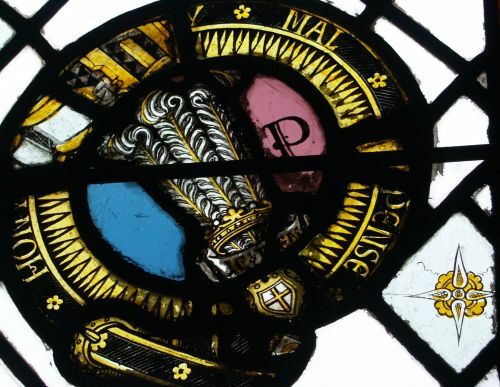 The Guildhall was originally built for the Corpus Christi Guild, which was founded in 1347. 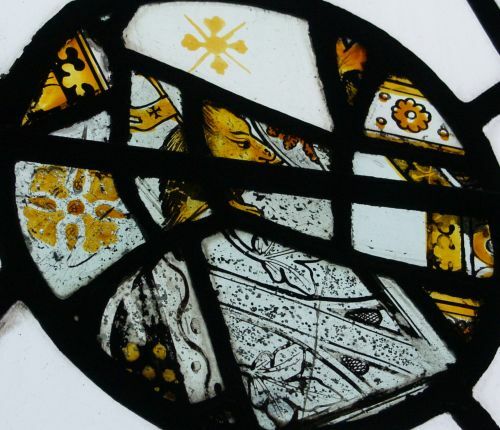 By 1495 in was in use as the Town Hall and remained so until the remarkably late date of 1875. 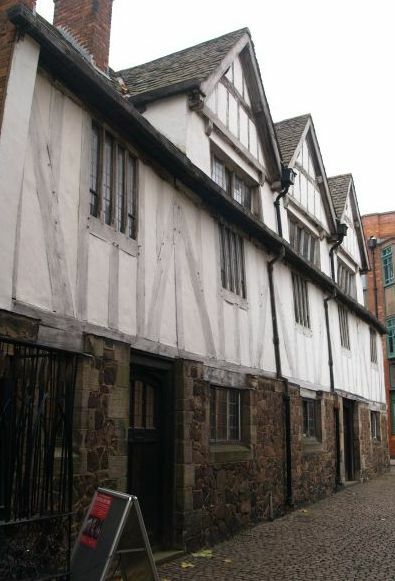 The Guildhall, Leicester: The courtyard of the Guildhall. 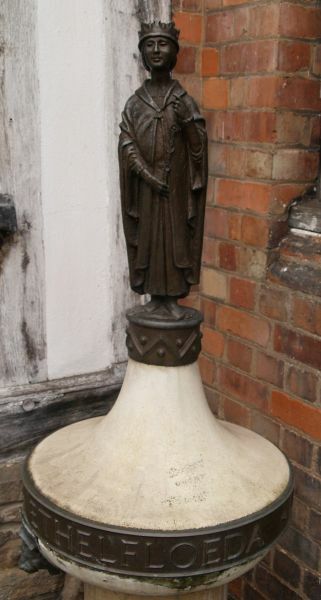 The Guildhall, Leicester: Left: In the courtyard is a statue to ETHELFLOEDA. Why? 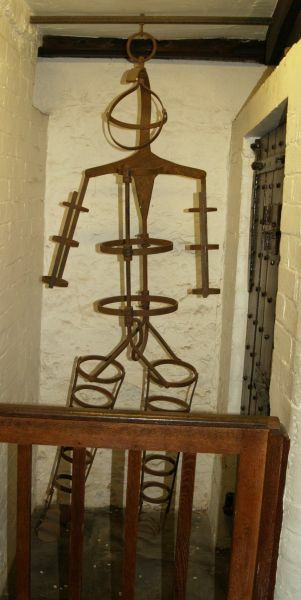 Right: In one of the cells of the old gaol is a replica gibbet as used in 1832. 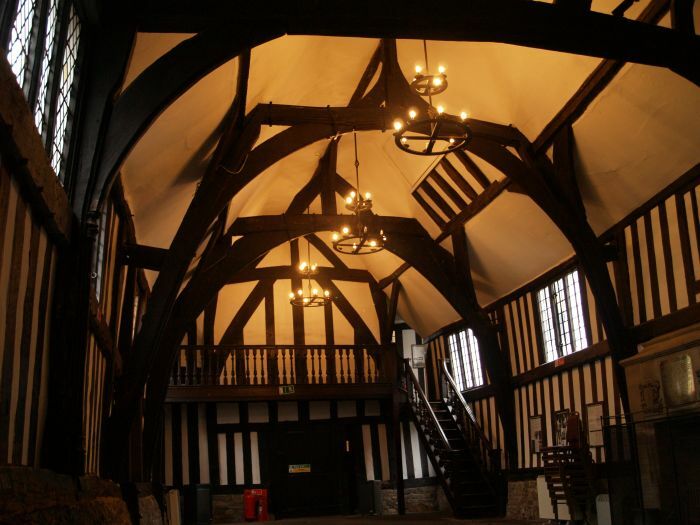 The Guildhall, Leicester: The Great Hall of the Guildhall, Leicester. 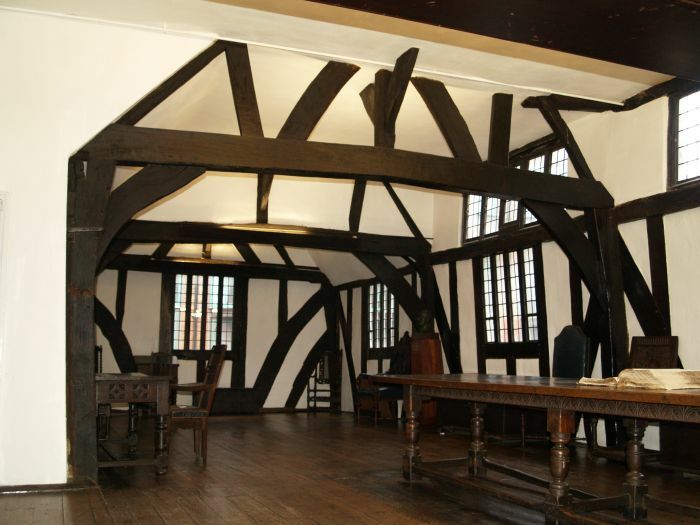 The great oak trusses clearly show the cruck frame construction. 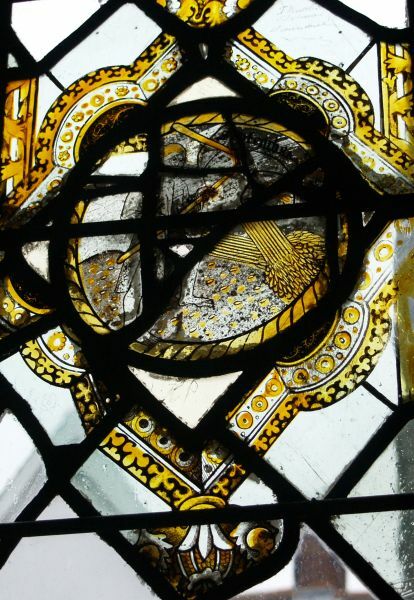 The three eastern bays were built ~1400. 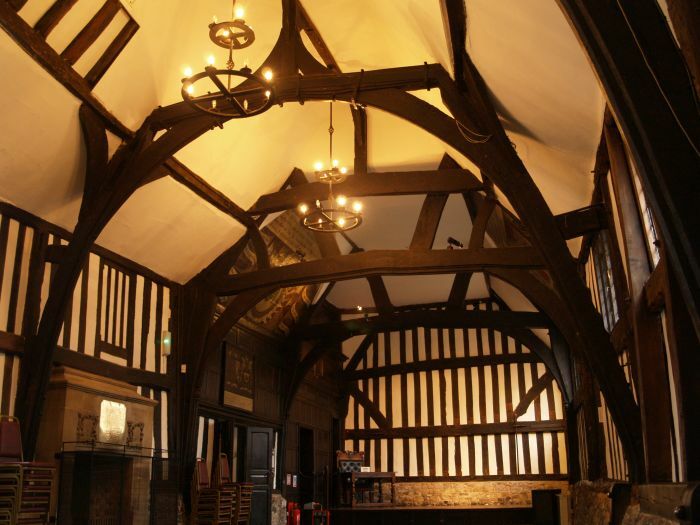 The Guildhall, Leicester: The great beams of the roof construction. 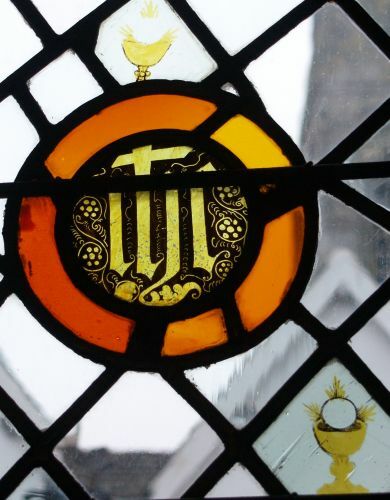 The Guildhall, Leicester: The library of Leicester Guildhall. 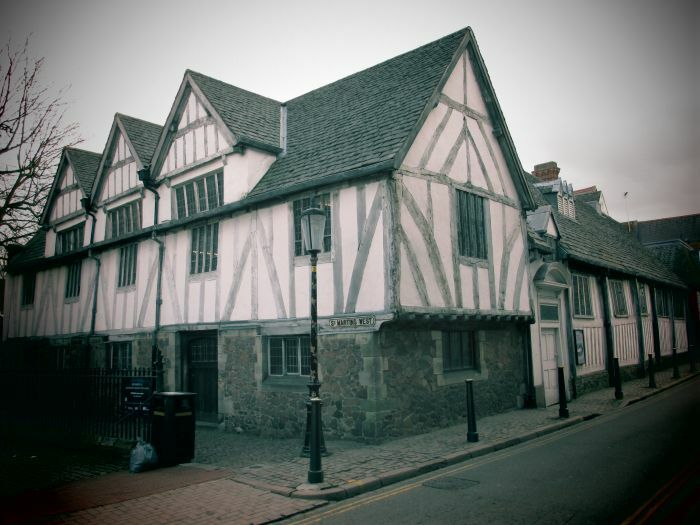 A public library existed here from ~1586 but housed in St Martin, but this east range dates from 1632. 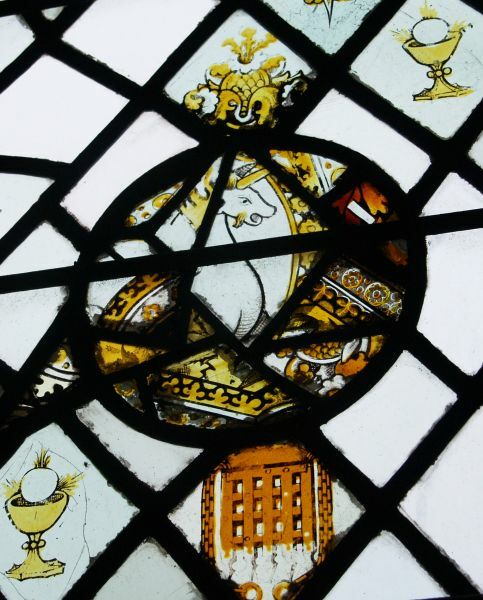 The Guildhall, Leicester: Coat of Arms in the Guildhall. 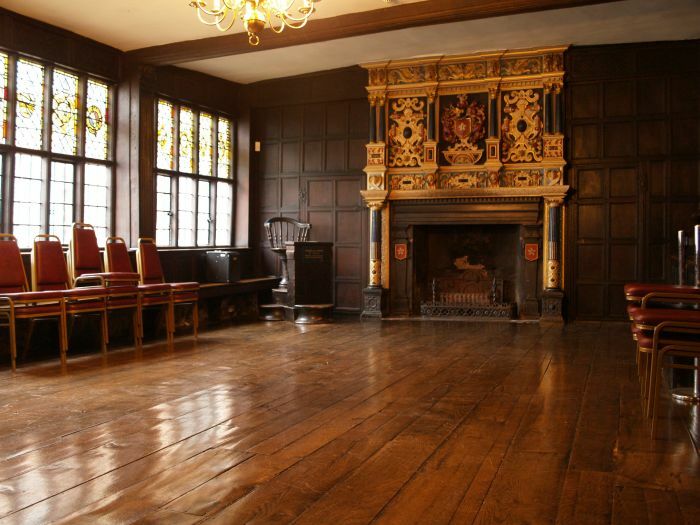 The Guildhall, Leicester: The Mayor's Parlour of the Guildhall, originally dating from the 15th century. 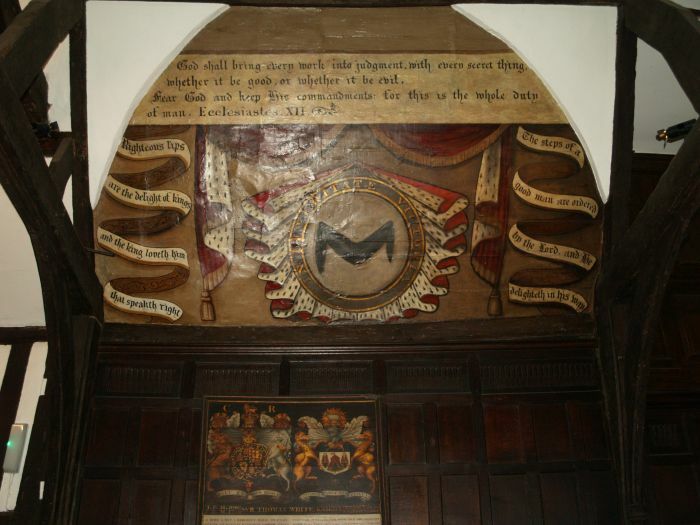 The Guildhall, Leicester: The very fine decorated fireplace of the Mayor's Parlour in Leicester's Guildhall, with its painted overmantel. 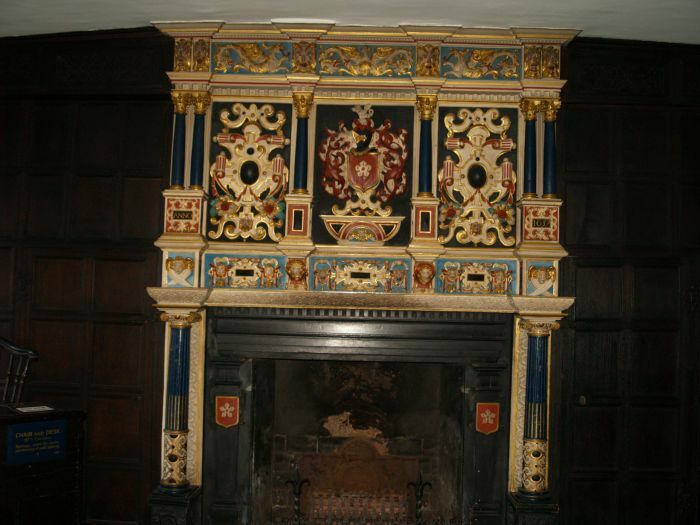 This spectacular fireplace is dated 1637 and has decorated columns, colonnettes and curly strapwork cartouches! 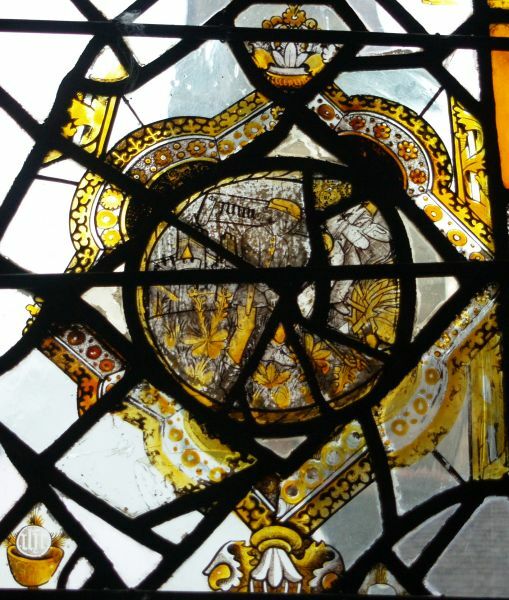 The Guildhall, Leicester: Below is series of pictures of fragments of late medieval stained glass 'fragments', some of which are really fine pieces of painted glass, mostly dating from ~1500. 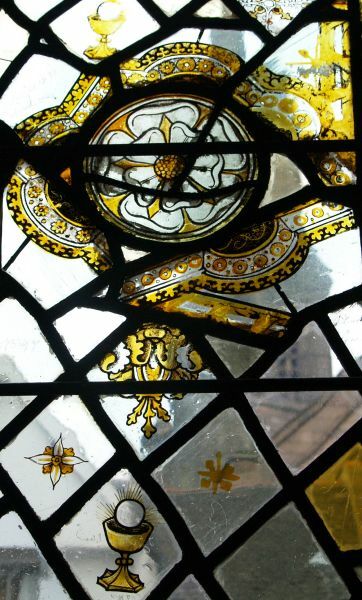 The Guildhall, Leicester: The white Tudor Rose on one of the stained glass windows. 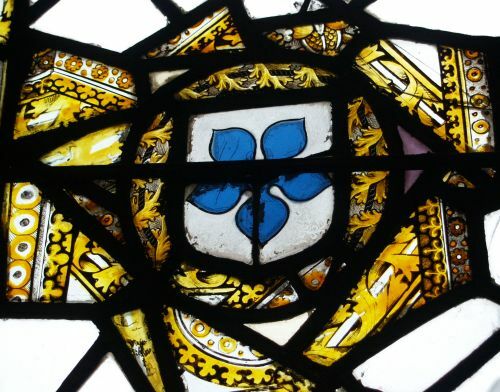 The Guildhall, Leicester: The three feathered badge of the Prince of Wales on another of the stained glass windows of the Guildhall. 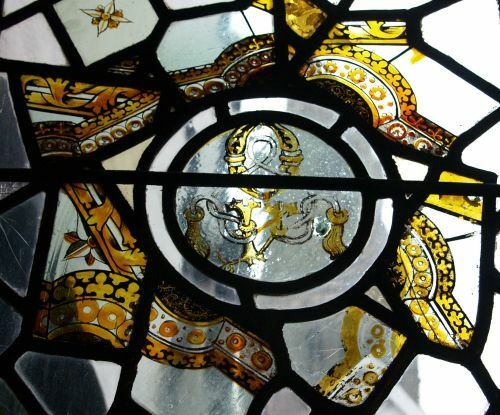 Enter place, town, village, walk, museum, mountain, railway, anything!